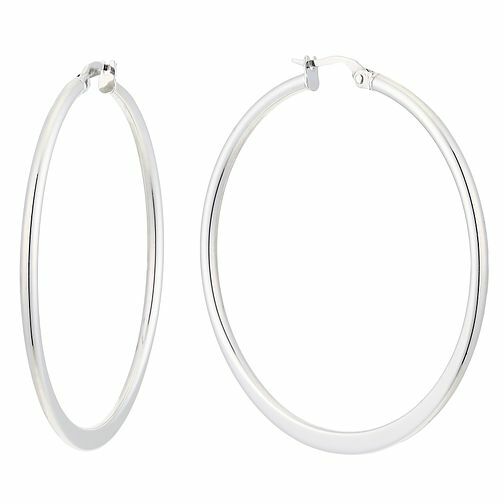 An elegant pair of large tapered creole earrings set in chic 9ct white gold. 9ct white gold large tapered creole earrings is rated 5.0 out of 5 by 1. Rated 5 out of 5 by Anonymous from Beautiful! Haven’t taken them out since I bought them, nicest ear rings I own! Great for during the day and great for the evening!